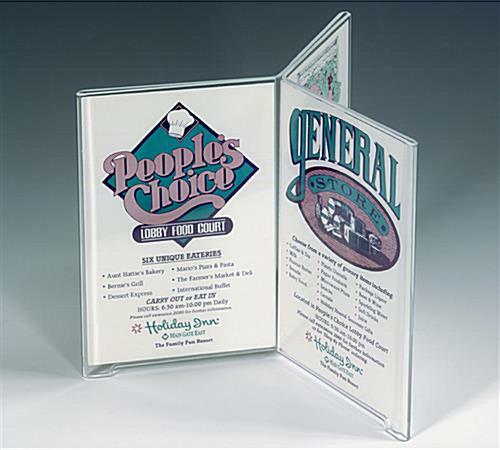 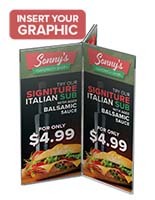 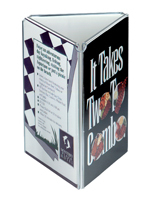 This Picture Frame Menu Holder Is Raised From The Table Surface To Protect Inserts! 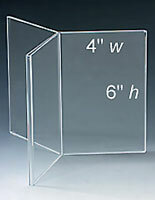 This Picture Frame Is Acrylic, In Stock, And Ready To Ship! 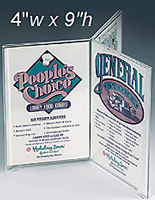 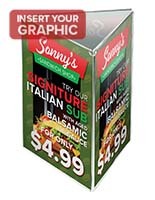 Picture Frame – This 6-panel picture frame is perfect for displaying menu items. 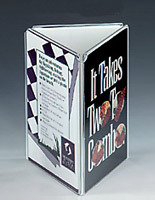 Bottom of unit has 1/4" high feet that lift display away from table surface, preventing the absorption of liquids. 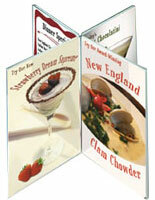 Loads from top or bottom. 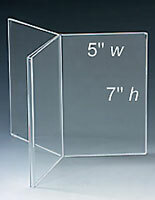 6-Panel picture frame will hold cards up to 4"wide x 6" high.